ELEGANT APARTMENT WITH SEA VIEWS AND STYLISH DECORATION, for up to 4 people. STYLE : This modern apartment is decorated in a very cozy style that combines white with wood and soft colors, creating a soothing atmosphere where our guests will enjoy a relaxing, pleasant and very practical stay. INTERIOR : The apartment is on the upper floor of a small building with 3 apartments, private gardens and a swimming pool to share. There is a 90 m2 floor with 2 bedrooms and a spacious living-dining room open on the kitchen and which access to the terrace. This large room is luminous and counts with unbelievable views to the sea. The main bedroom has an en suite bathroom with shower and an access to the garden. The second bedroom has been made for the children since it has a drawer bed for 2 people and an access to the garden too. There is another bathroom with bathtub. EXTERIOR : The outside of the property (200 m2) is divided into 4 areas. 1. The entrance with the garage and the staircase to get in the villa. 2. A furnished terrace where we can have a drink or read a book while looking at the sea. 3. A terrace with dining table for you to enjoy nice evenings. 4. A garden with trees, natural grass and sunbeds. The perfect place for the kids. From the garden we access to the swimming pool which is shared with the two others apartments. 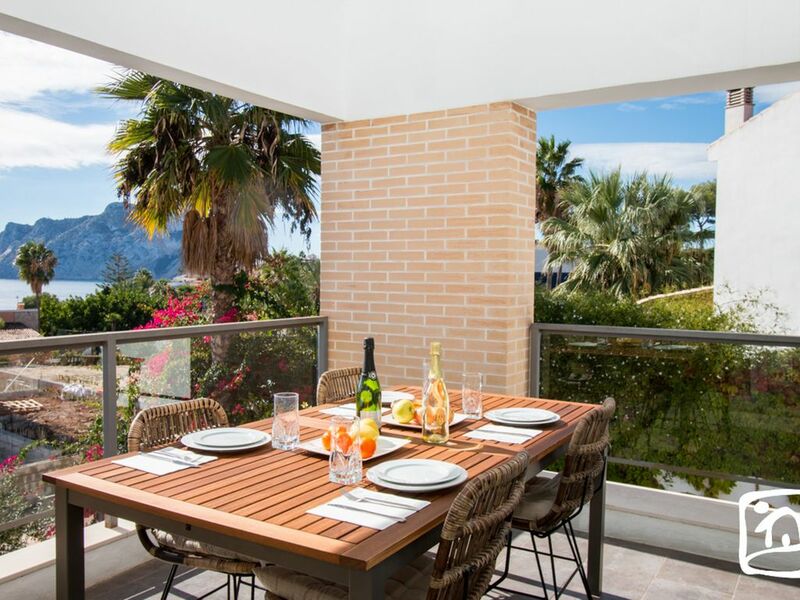 LOCATION : Located between Calpe and Benissa Costa it is at only 400 meters from the beautiful cove of El Mayorquin and at 500 meters from the harbour of Les Basetes where we will find two restaurants with sea views and a place for aquatic activities. We access to the coves from a very nice wooden ecologic path. At 2 minutes by car from the villa we find supermarkets and at 5 minutes is the village of Calpe. OTHERS: AIR CONDITIONING IN THE BEDROOMS AND LIVING ROOM, FREE WIFI INTERNET. PETS NOT ALLOWED.